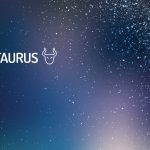 Here, you can find out more about the weekly Horoscope for Taurus, from April 22nd to April 28th. Every week, WeMystic will bring you the forecast for Love and Relationships, Health and Money & Career. Singles: how do you feel being single? Does your dissatisfaction with your relationship status affect other people in your life or even random strangers you encounter? You may not understand how much negativity you are projecting, Taurus, so take a good look in the mirror and adjust as you see fit. Joining relationship networks to find the perfect partner may seem extreme, but unique ways to attract someone can be effective at the end of the week. Do not discard anything. Engaged: you are very aware of the level of your relationship earlier in the week, but does it matter to anyone else? It is very important for you, for some reason, that people know that you have a partner and that you two love each other, but do not be disappointed or upset if it is not the main news in the lives of others. Seeing things from a different perspective, your partner keeps things interesting over the weekend. You have much to learn from it. The focus of your life falls on your relationships with others, particularly those who go through your professional and financial life. You may find that such relationships are now encouraging and even profitable. There is some wonderfully creative energy between you and it can bring new ideas to make more money. You can offer exceptional services for clients and co-workers now. Some people around you will feel stressed. Layoffs and rumors can make everyone feel a little restless. There may be some emotional turmoil in the workplace. Some alliances may end suddenly. Keep lists to make sure you do not forget anything important. Let’s hope your stubborn feelings are resolved by going to the gym, or eating only healthy balanced meals, or getting enough rest each night. If you are experiencing some type of emotional blockage that makes it difficult to achieve these healthy habits, talk to someone you trust and have those blocked feelings moving.Your health is too important to be in the background. Put your health first. You want to combat and eradicate the symptoms that tend to fade away quickly. These are probably stress-induced and can be uncomfortable. You can try complementary therapies such as acupuncture, aromatherapy or homeopathy if conventional methods do not work.